World Scratch Map Deluxe. Don't be fooled by cheap knock offs. 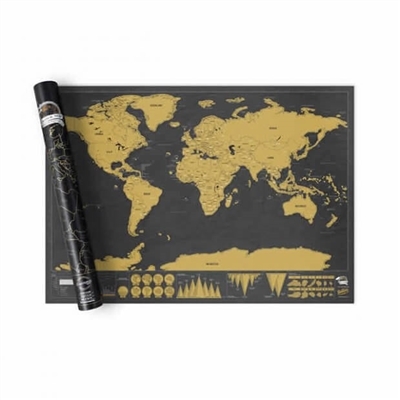 Our Scratch Map Deluxe comes with copper foil printed on beautiful matte finish black paper. 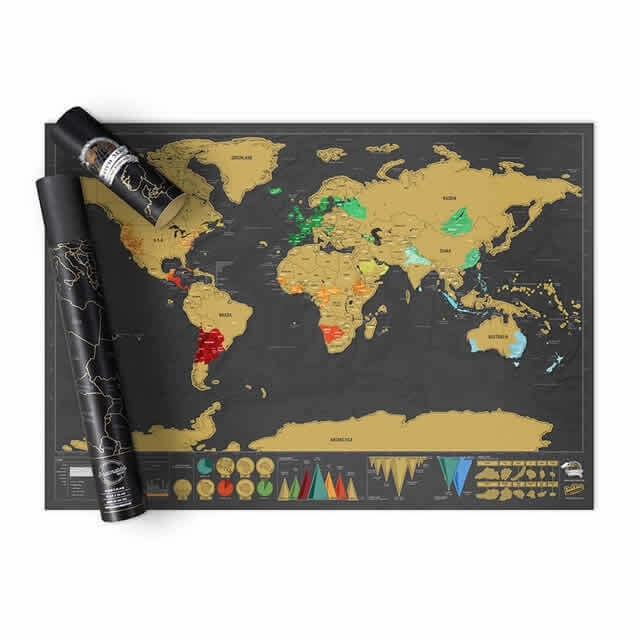 Scratch Map Deluxe poster also features fascinating info-graphics along the bottom, revealing a wealth of facts and information about the land and oceans, presented in an engaging and colorful manner. As with all Luckies Scratch Map maps, the Scratch Map Deluxe map comes in a high quality presentation tube, making it a great gift for any aspiring traveler, adventure addict or wanderlust obsessed explorer! Please use an eraser or fingernail to remove the foil, as metal objects will damage the matte finish laminate paper.